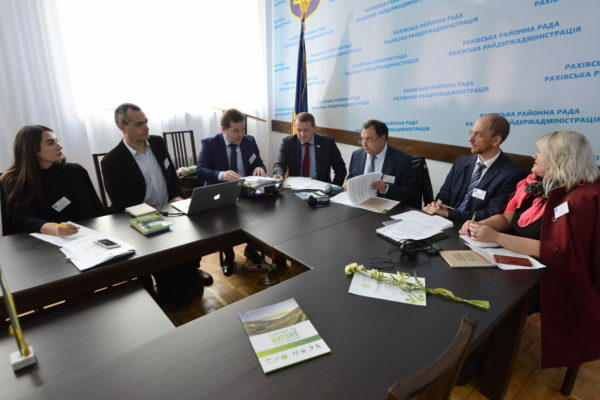 On October 23, the first meeting of the members of the SNPA-project Advisory Committee was held in Rakhiv. The members of the committee are from different sectors – people’s deputies, scientists, environmental experts and representatives of NGOs. The main purpose of the committee is to provide expert, informational and consultative support to the SNPA-project and to facilitate the coordination of the joint actions of the project participants during its development and implementation. In addition, the committee is in charge of monitoring the progress of the project implementation, providing recommendations for its implementation, and facilitating the dissemination of project information. 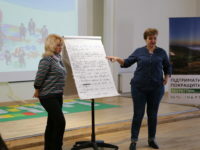 During the first meeting, members of the committee learned more about the purpose and objectives of the project, the results of its activities and future plans. 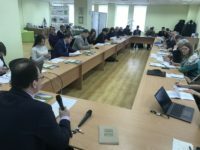 The participants of the meeting emphasized the importance of preserving the biological diversity of the protected areas and improving their management. Particular attention was paid to solving the issues of local communities and to the educational component of the project. The meetings of the Advisory Committee should be held at least twice a year, if necessary, an extraordinary meeting may be held (in accordance with the regulatory documents of the Advisory Committee of the project). Your message has been sent. Message not sent.